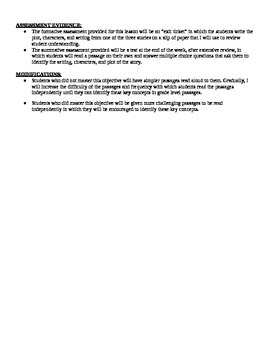 This is a lesson plan I created for an education course. Within the lesson plan, I have listed three childrens books involving animals that will be read to the class. 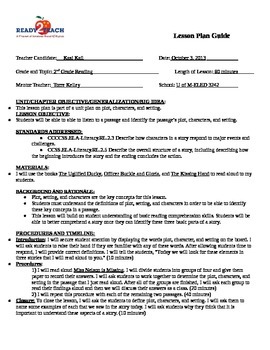 Students must identify the setting, plot, and characters of each story.